Lots of people find Mathematics challenging…lots of people think endless lists of numbers are confusing…but not Sungwoo Cho! Sungwoo loves Mathematics and finds those endless lists of numbers interesting and intriguing. 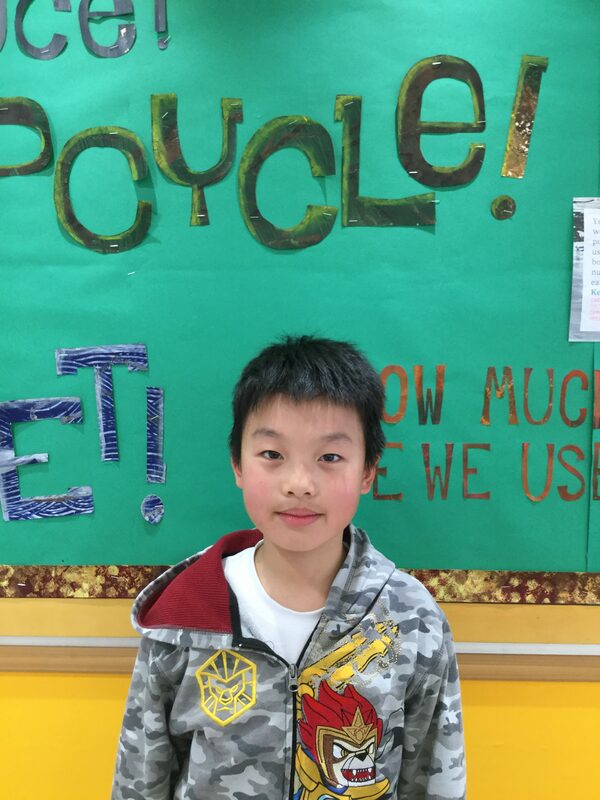 Pi Day was a special day for Sungwoo as it was a celebration of Mathematics. He was very excited to explore this special number further. Pi is a very important number. It influences many parts of our everyday life. It is the ratio of a circle’s circumference to its diameter. Being an irrational number, π cannot be expressed exactly as a fraction, equivalently, its decimal representation never ends and never settles into a permanent repeating pattern. 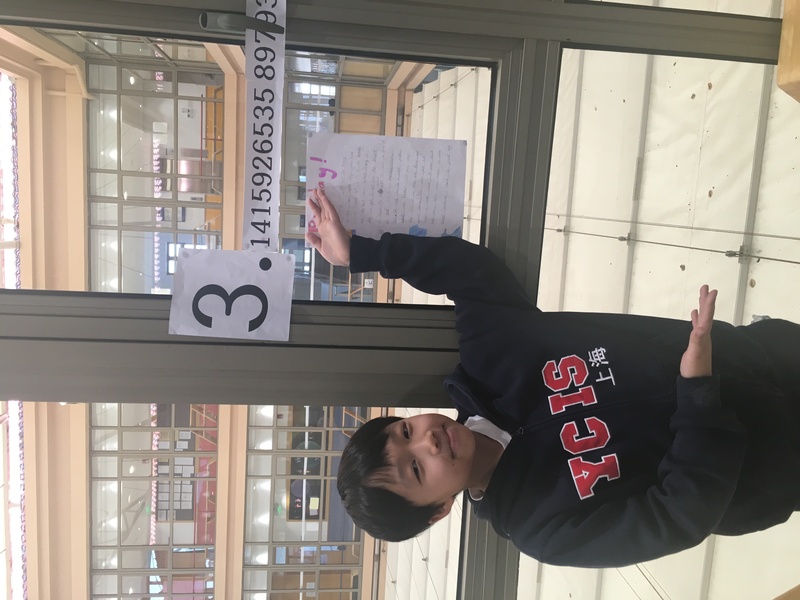 Sungwoo found this idea of an infinite number very exciting and when set the task of creating a poster to advertise Pi Day he wanted to see how many decimal places he could find for Pi. 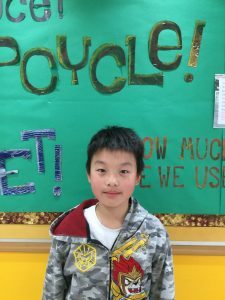 At home, Sungwoo worked with his parents to research, print, cut out and stick in a long strip pi to 600 decimal places. 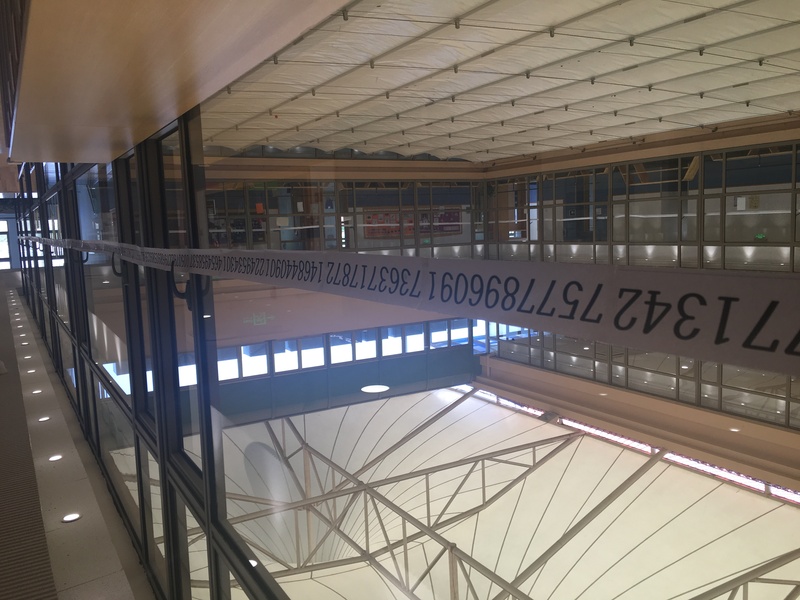 Amazed by his effort, his teachers and classmates helped him stick the long line of numbers around the centre courtyard windows. 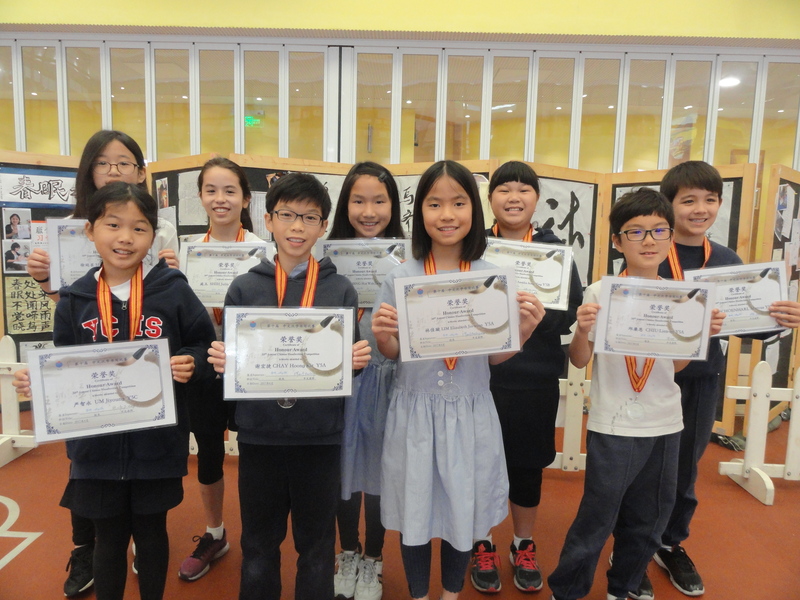 However, Sungwoo was not sated with this relatively small collection of numbers, and went away and managed to produce a further 2000 digits bringing the total to almost 3000 decimal places. 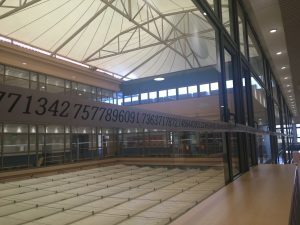 His very long strip of paper almost reached the whole way around the centre courtyard. Sungwoo did not just print these numbers and display them, he spent much time looking through trying to find patterns and calculating how many of each digit there were. He showed a great interest in this topic and has learnt a lot from his extra research. 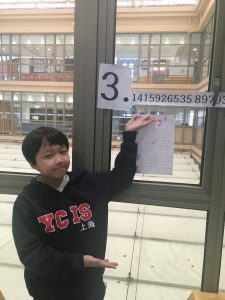 Sungwoo excited his classmates with this project and got everyone talking about this special number. 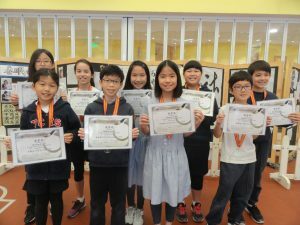 One classmate Matthew was surprised when he saw the list and said ’Wow, I didn’t know there were so many numbers’, and another of his peers, Adison, said it was ‘Amazing how many numbers Sungwoo had found ‘. 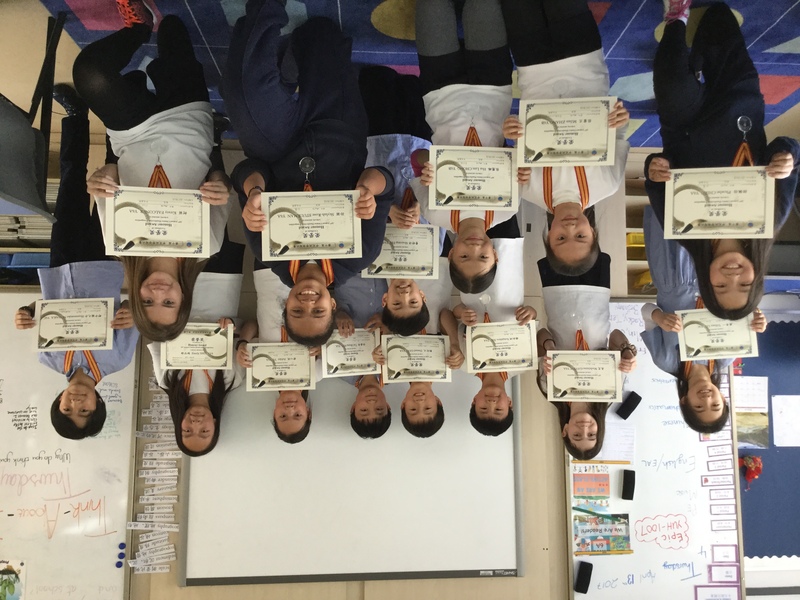 ‘The atmosphere in the classroom come Pi day was fantastic’ described his homeroom teachers. He is planning to beat his record next year and produce an even longer list for Pi. 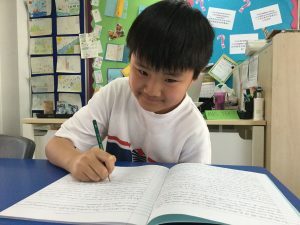 Sungwoo shows a great interest in learning across the curriculum, he loves reading and enjoys a varied choice of books and loves learning about how things work. He is a keen soccer and basketball player and plays the violin in the school orchestra. It is always great to see students showing enthusiasm for school and the extra-curricular activities on offer. 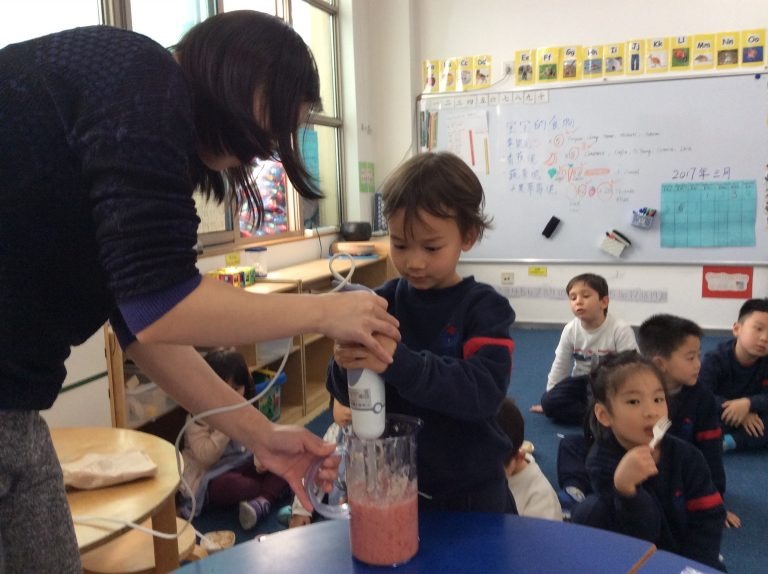 Since we will be celebrating the Week of the Young Child at YCIS from April 24 to 28, we decided to interview one of our ECE teachers to get a grasp of what life is like in the ECE world and Nadine seemed to be the right person to ask! Let’s meet Nadine Fletcher. At the beginning of the year, you approached me to offer a workshop for parents about Art in ECE called “Messy Play” and everyone enjoyed it. 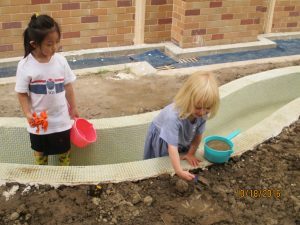 Recently, you offered to present another messy play workshop for later in the year. Why is that? 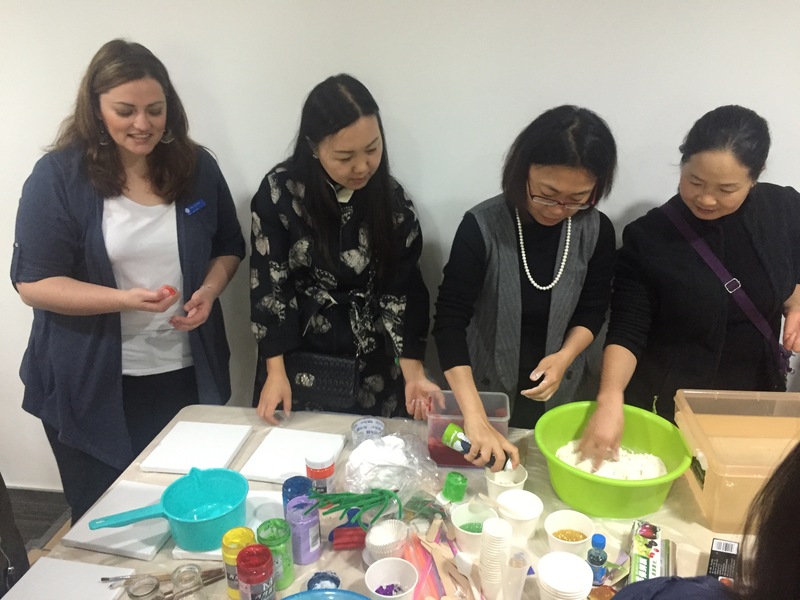 Let me give you two examples – The first one is at the beginning of the school year, when we introduced for the first time an activity to explore sand and foam, none of the children wanted to take part of it, because they did not want to “get their hands dirty”. If we had to put this activity in front of a one-year old, for sure, he would have started to touch it and play with it, because exploring and discovering comes natural to him. Older children’s attitude towards this activity reflects a “learnt” behaviour. The second example is a Mom who asked me after the school day “Why is my child’s coat so dirty?” I explained to her that her child was crawling during outdoor play, taking on the role of a cat. Children learn through their five senses and exploring their environment with ALL parts of their bodies, including their knees and elbows. Thus, we all should be celebrating chaos and dirt to help our children build confidence in the area of creativity. What do you mean by dirt is good? When I talk about being dirty, I mean, your child comes home with paint, mud, food stains, glue or sand on their clothing. 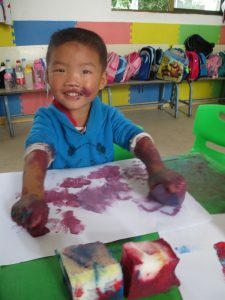 I don’t mean the children should roll around in paint, however, I mean while they are in the process of painting a picture, let them explore without interrupting their thoughts with your input, such as, “Put on an apron! Be careful not to get any paint on your sleeves!” I understand that adults get nervous about children getting messy, especially with the clothes. But clothing can be replaced or washed. Your child’s thoughts in the moment of exploring with paint, freely, cannot be replaced – that moment will be gone forever! If we want children to learn, they need time to play, create, explore, discover and experience! (Discussions about taking care of our belongings, like our clothing, can take place during a dinner time conversation or by reading a story about it – not while they are playing). Very interesting…but then it adds up a lot of work for parents or caregivers. 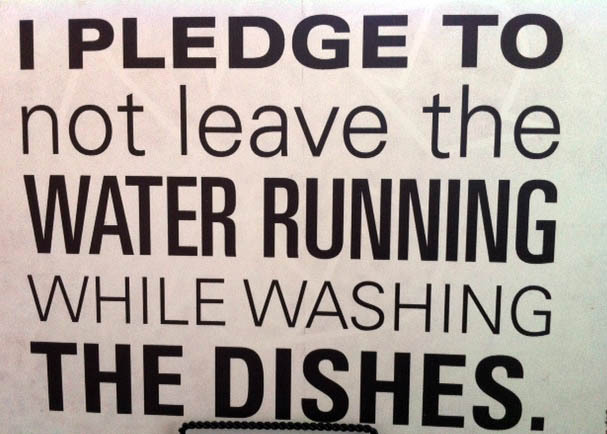 Isn’t there any other way to help them learn and play by keeping themselves clean and safe? Yes, of course. There are “clean” toys your child can play with. However, toys can be limited in their functionalities. For example, if you give a toy to a child that teaches them the alphabet or numbers, like a singing doll or computer, this will only be limited to what the toy is offering to the child. 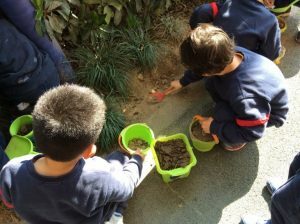 Imagination will be contained, whereas, sand, mud or messy art, collage materials, recycled materials offer unlimited ways of playing. One day, you can build a castle with the sand. The next day, you can bake a cake. Every day can be different and options are infinite. Moreover, in the process of playing, children are learning. How much math lessons would you have to pay for your child to get the concept of empty and full, when he could just play with water and a cup to figure out? I guess that this is my way of seeing things because I have spent all of my childhood playing and exploring the nature around me.. True! Please remind us about your roots and educational background. I grew up in South Africa on a farm outside Matatiele, Kwazulu Natal. My Father was a farm manager on a big crop-cattle farm. I used to play in the fields from morning till afternoon with my other 3 siblings and neighbours. I was a weekly border in a government school from the age of 6 until 18 – every weekend I was back at the farm, climbing trees, tending to all my pets and swimming in dams and reservoirs. I had a wonderful childhood free to explore the world, from mountains to forests. When it was time to decide what I wanted to study after high school, teaching young children was at the top of my list, as I knew that this would allow me to use my creativity. 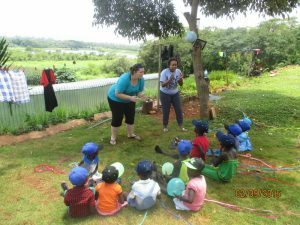 I studied a Bachelors Degree in Education in Early Childhood Development (Foundation Phase) at the University of South Africa (UNISA) in Pietermaritzberg and I worked for 3 years and a half for the kindergarten in our farming community. Then I heard about YCIS from a friend whose parents were working at YCIS and are still here as we speak. 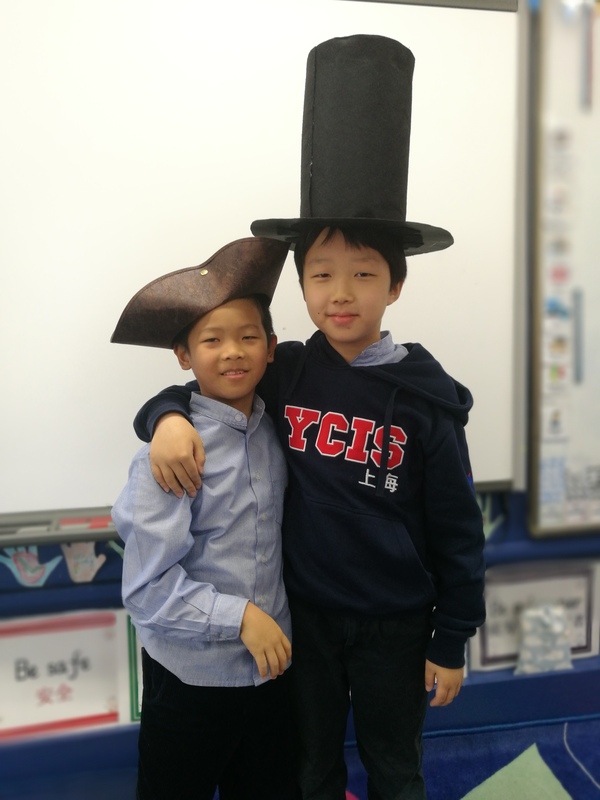 This is my 5th year in China, at YCIS. And you specialized in Art, correct? I saw that you were also organizing an artistic event to raise money for a charity last month. Actually, I am a self-taught artist. 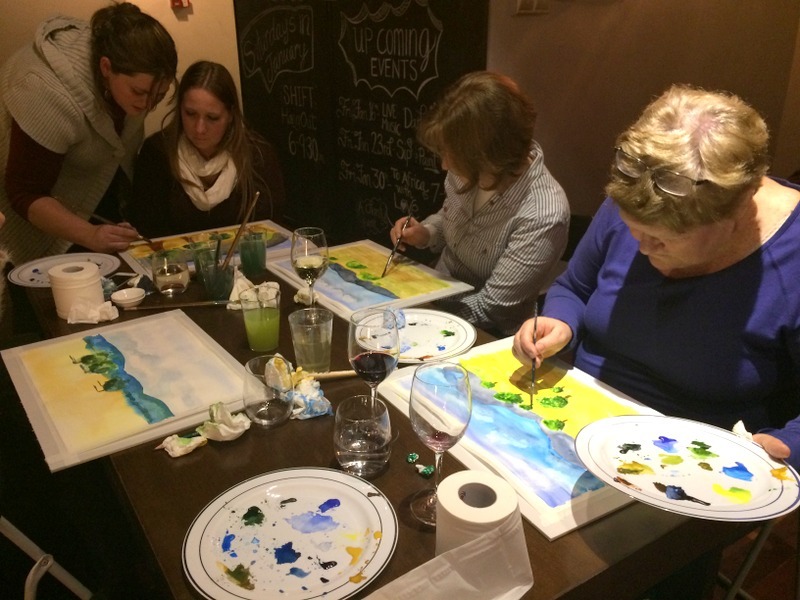 I took water colour art lessons when I was in South Africa and began exploring acrylics when I arrived in Shanghai. I found the Shanghai community so interesting, especially when meeting a person who was passionate for art and humanitarian aid. She did not only allow me to join her in creating artwork, she also made me realize that my country needed help and that I could contribute to it. This friend is an American – and seeing my country through her eyes, made me realise just how much help they need. I realized I had gotten used to the poverty around me and this basically opened my eyes and my heart to doing MORE. 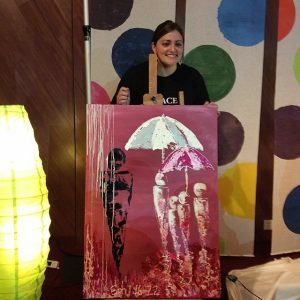 That is how we started to organize art workshops, such as Sip and Paint for our charity organization “Art for Africa – To Africa with Love”. The money we raise is to help with children’s school fees, school uniforms and AIDS/HIV medical help. Last month, my art workshop “Sip & Paint” gathered friends and people interested in painting and although many of them said they could not draw or paint, they proudly went back home with a painting of their own creation! So just to come back and finish our interview, what do you enjoy the most in teaching in ECE? 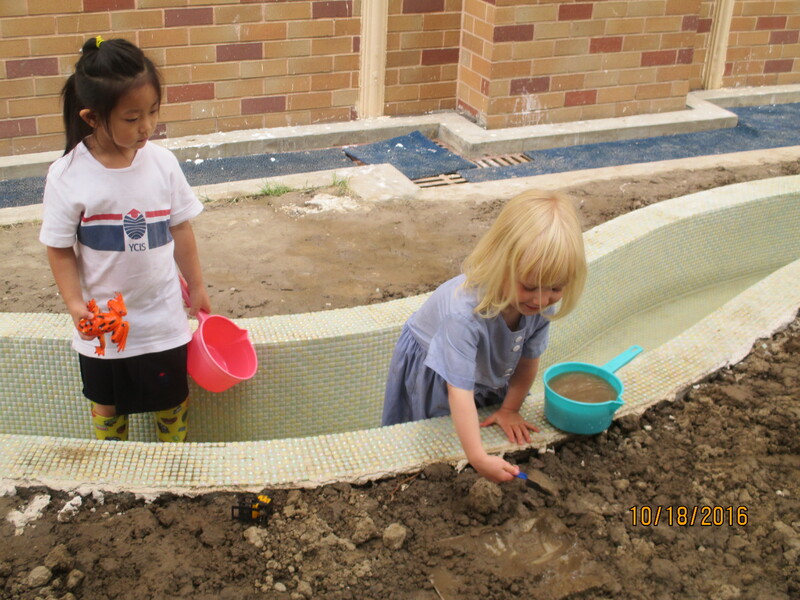 The philosophy of the ECE at YCIS perfectly fits with my vision as it focuses on learning through play. I love teaching in ECE and I would never change it for anything. Why? 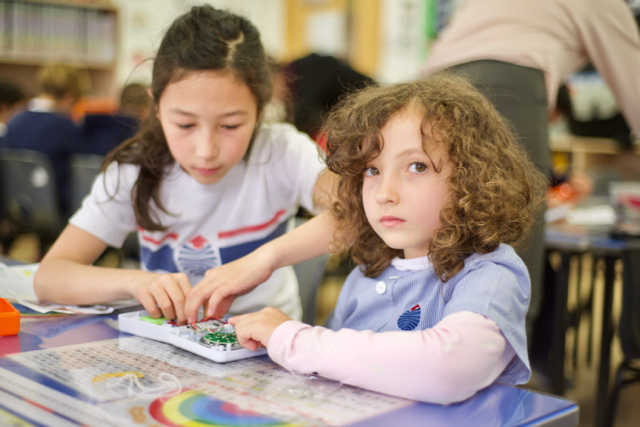 Because working with ECE children, every day is different, unpredictable. Every day, I can see growth and the teaching style is less formal, more flexible and free. 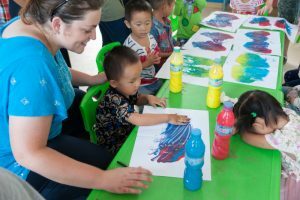 What I enjoy best is to create sensory activities and collect different types of materials allowing children to experience their creativity. Being creative does not mean being able to use a paintbrush – creativity flows into all areas of our development, such as, dance, music, math, literature and more – creativity is NEVER ENDING! Once we become an adult – and especially when we become parents, we tend to forget our inner child and our confidence to walk up to a blank piece of paper and just start… pick up a pen, paintbrush, stamps, and just go for it. Nadine’s main objective is to awaken all parent’s inner child and let them enjoy and remember how free they felt when they were young. 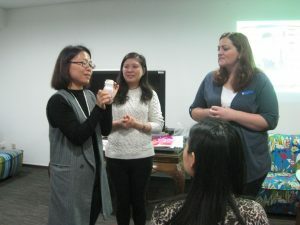 Living the experience through her workshops will help reconnect you with your inner child and will help you remember and understand how important it is to let your child develop their creativity through discovery and exploration. Lets work together to let our children CREATE out of our box of rules! 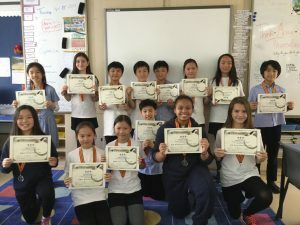 Every year, YCIS celebrates international Earth Day by dedicating a whole week to raise awareness of the importance of how to care for and protect the environment. 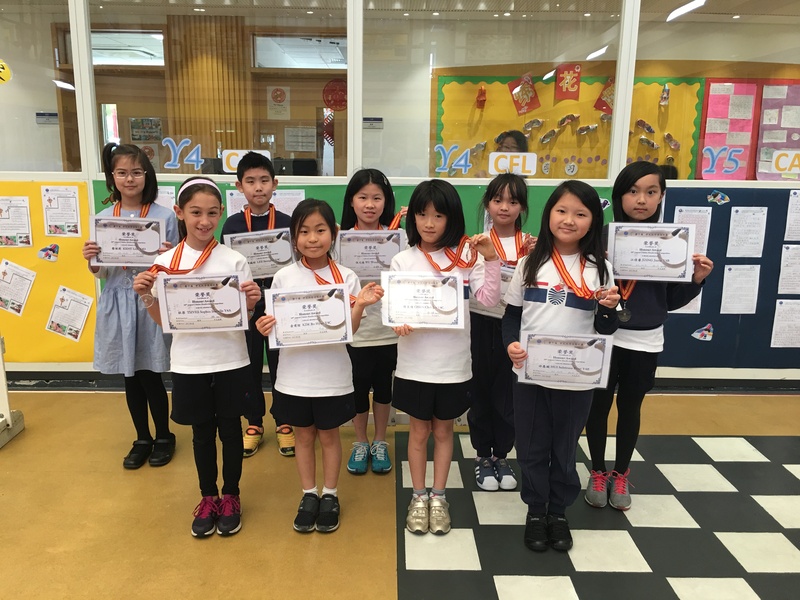 In reality, this is not only a one-week event, but a continuous process across the years your child has been attending the school from ECE to Secondary and across the different subjects from Art in ECE to their Primary Character Education Assembly (e.g. Resourcefulness), and in their every day life at school. 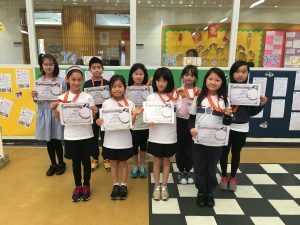 At the beginning of the year, the children review the 3Rs (Reduce, Re-use, Recycle) and are constantly praised and encouraged to develop this environmental-friendly character. Some class teachers keep emphasizing Wednesday waste-free snacks and our Primary Art Teacher Anita Dai has made it a priority for all Year 5 students to only do art with recycled materials. As you already know from the first semester, the students helped Ms. Hambleton sell Christmas decorations and tote bags to raise money for the Million Tree Project. 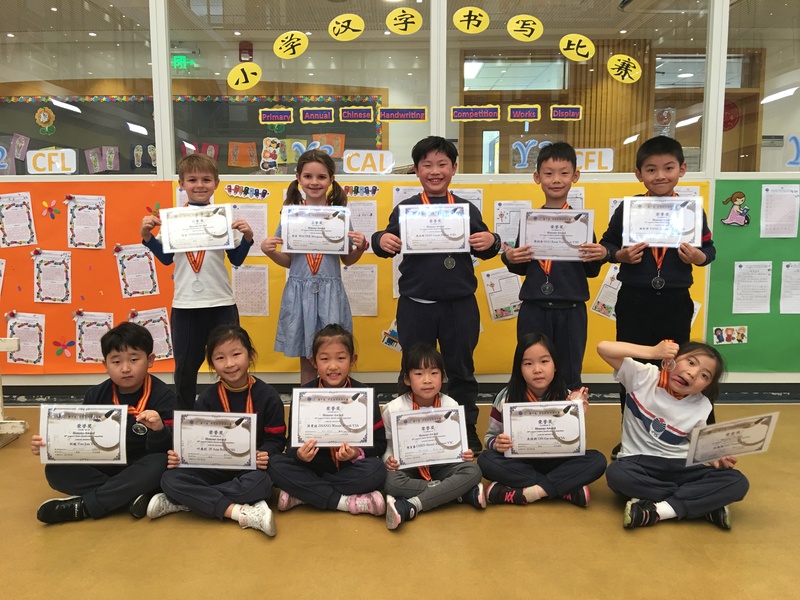 This contributes to the constant effort made by Secondary students to raise money through their events and meets the requirement to go on a trip to Inner Mongolia to plant trees! 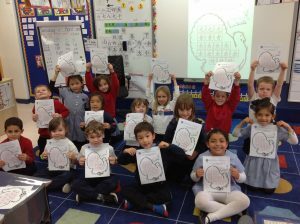 In the second semester, students have been focusing on the endangered animal species in their Science class and in their Art class. You can have a look at the video posted by the Art teacher in the Year level blogs. Year 5 and Year 6 students even did some research on this and wrote an article you can read in this newsletter! This environment-friendly attitude is actually so ingrained in YCIS education that it is also reflected in after school activities with our Recycled Art class or with the Girls Scouts who have been working on the topic of saving water since last school year. 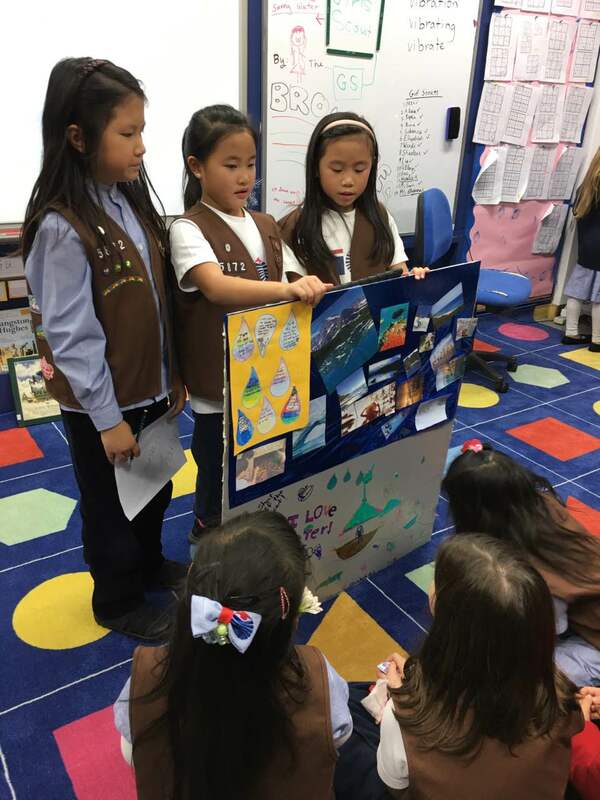 In December, each group from the Brownies (Year 3 and 4 students) even gave an official presentation to Mr. Leo Lazo as well as to their younger Girl Scout sisters, the Daisies (Year 1 and 2 students), in order to share their learning and recommendations on how to save water. 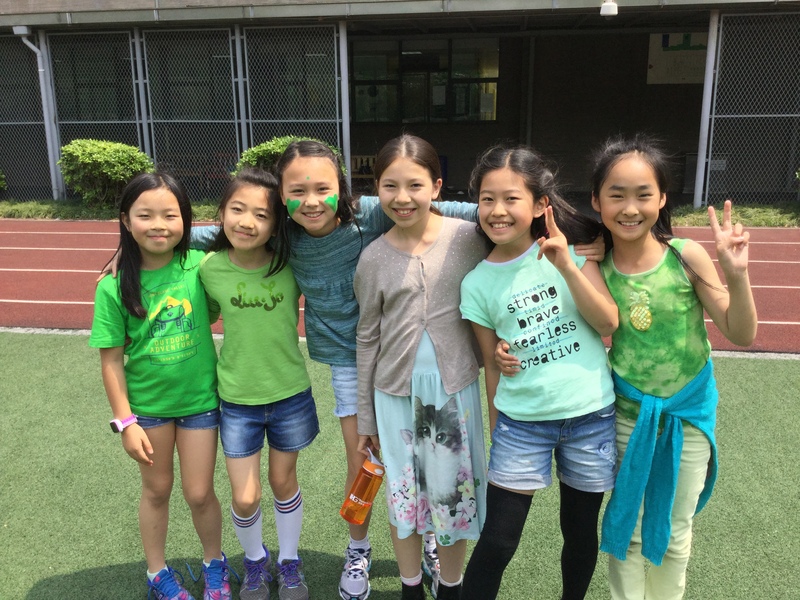 Go and visit the Year 7 Charity Fair on April 21st from 12:45pm-1:40pm on the CP field where students will explain what they have learnt from their involvement in the charity project they chose. For more details, click here (password: family). 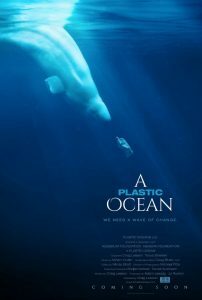 Go and watch the “Plastic Ocean” documentary on April 25th in the CP Theatre and listen to the guest speaker about the impact of plastic upon the planet. To book your seat, please click here. 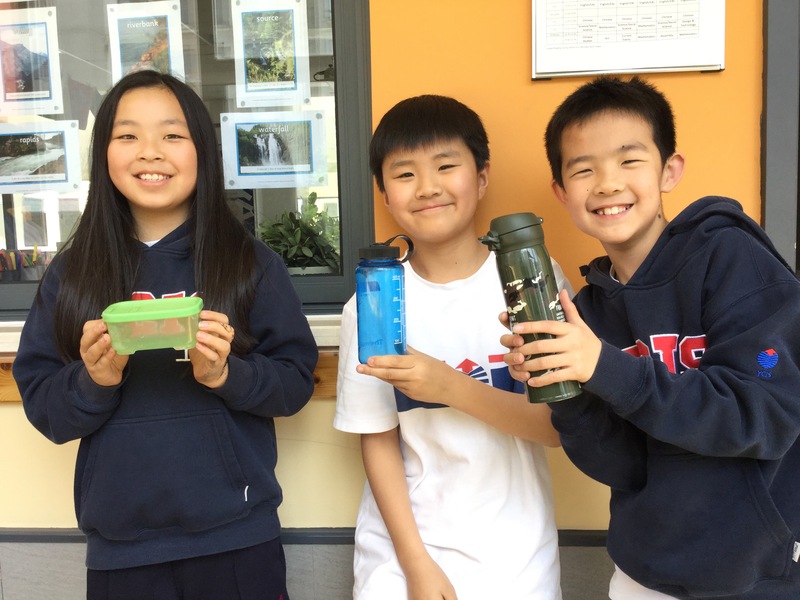 Contact Secondary ECO Reps to get more details about what they are organizing for Environment Week at Century Park Campus and ask Mr. Gordon Wilkinson about how many students they will be able to send to Inner Mongolia to plant trees for the Million Tree Project (password: family)! Do you know the three “superlatives” of Chinese characters? Chinese character is currently the most used text in the world. Besides that, Chinese characters are also beautiful, visual, highly identified, relevant and informative. Therefore, we help children to experience the mystery and glamour Chinese character’s in recognising, reading, writing and feeling through various learning activities at YCIS. 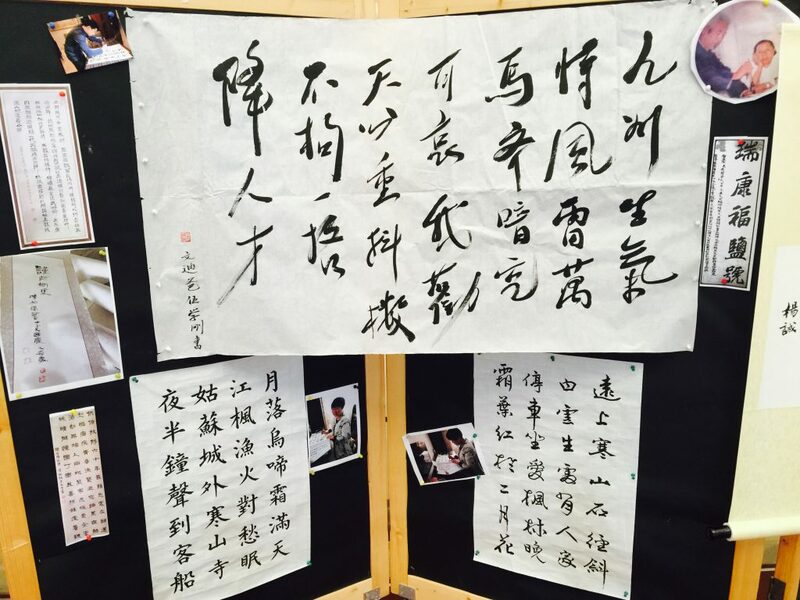 If you have walked past the Courtyard at Regency Park Campus recently, it’s hard to miss all the beautiful Chinese handwriting work from our teachers, students, staff and parents. 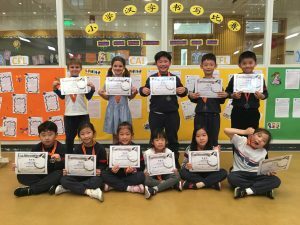 This is our annual Primary Chinese Handwriting Competition. 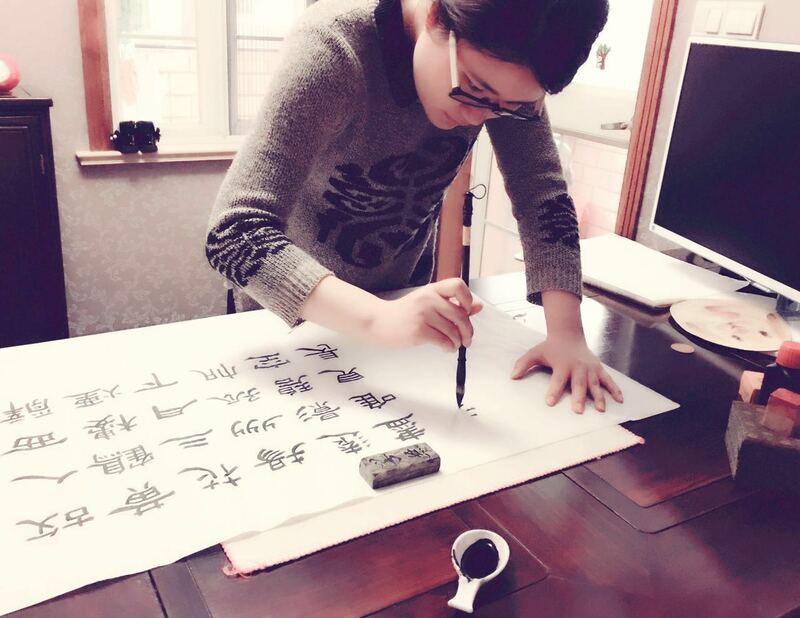 We were surprised to see there are so many Chinese handwriting masters around us! I would like to take this opportunity to hear their opinion about handwriting and get to know them. Question: Your calligraphy is so amazing! When did you start to learn and why? Mr. Wu: My great grandfather Wu Jujiu was an educator and calligrapher during the period of the Republic of China. He had studied Han inscriptions for many years. Early in my hometown, he inscribed the plaques of all famous bridges, parks, pavilions, terraces and open halls. My grandfather Wu Dongbai, who started learning calligraphy at age 7, practiced every day with 500 words, until the age of 95. He insisted on practicing every day. My father began to practice calligraphy in his retirement. So I was brought up in this “calligraphy environment.” I remember first starting calligraphy in grade four or five at primary school. Question: How do teachers practice good handwriting? 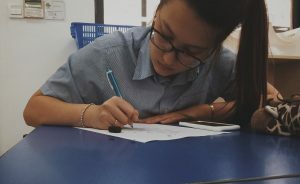 Ms. Dong: To practice good handwriting is a process of honing your will. Just like when you focus on writing, nothing is important, just the story that you write. Ms. Yang: As a Chinese teacher, handwriting is a very basic skill. 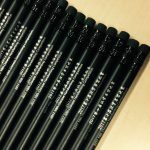 When we study in Normal University, we practice our handwriting with pen, pencil or chalk every day. Slowly, it became a habit, and I really enjoyed that. Question: What is the fun part of Chinese handwriting? 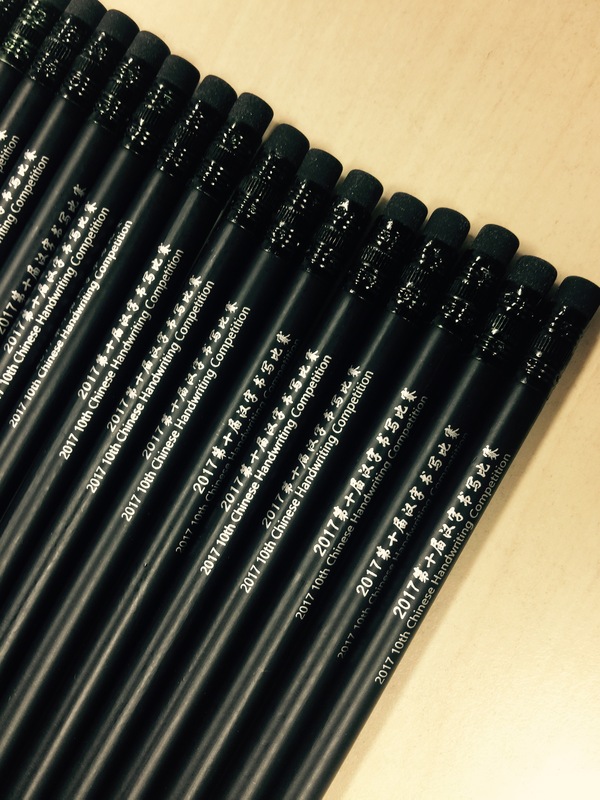 Ms. Li: Handwriting makes me feel relaxed and keeps fond memories for me. 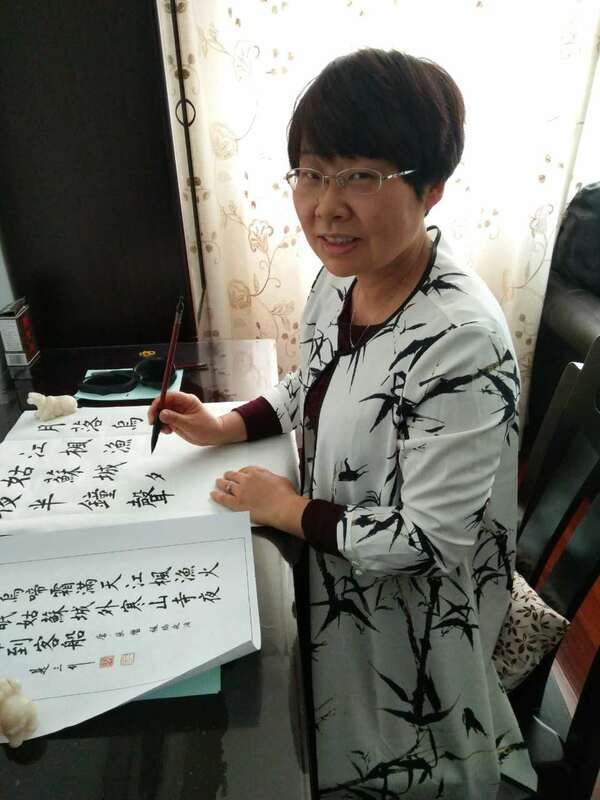 Ms. Han: When you writing calligraphy, a sweet smell of ink greets your nose, and the characters such as dragons and snakes are powerful. The process of practicing handwriting is a good way to understand the beauty of Chinese characters from traditional to simplified. 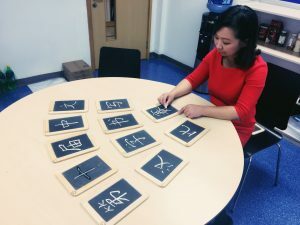 Question: Why do you think we should value Chinese handwriting as a student? Alain: I have been studying in YCIS for 16 years. I am quite satisfied with my Chinese handwriting. We should value it since your writing style is a reflection of who you are. 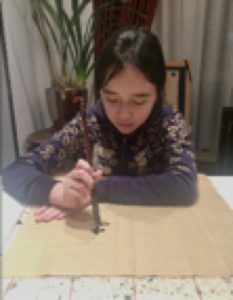 Sophia: I think it’s important to keep good writing habits, because Chinese characters are a part of Chinese culture; they cannot be abandoned. Calligraphy is very interesting for me, not only to better understand China’s culture and history, but also I can exercise endurance. If you want to have nice handwriting, I suggest to write official script step by step. Regular script is too complex to master at the beginning without guidance. Question: How long have you been teaching Chinese? In the era of rapid development of science and technology, do you think it is still valuable to use traditional pen to write? 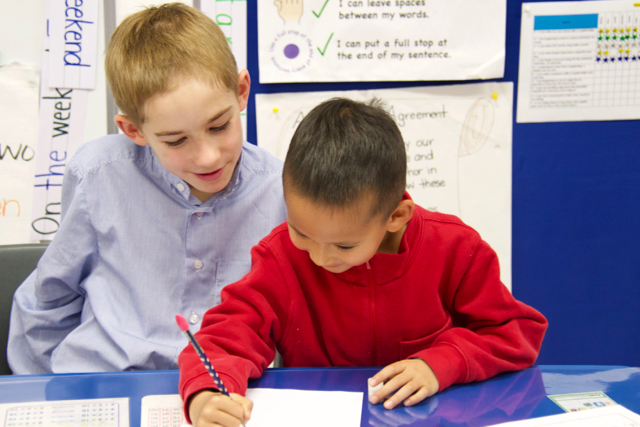 How do you support students’ handwriting? 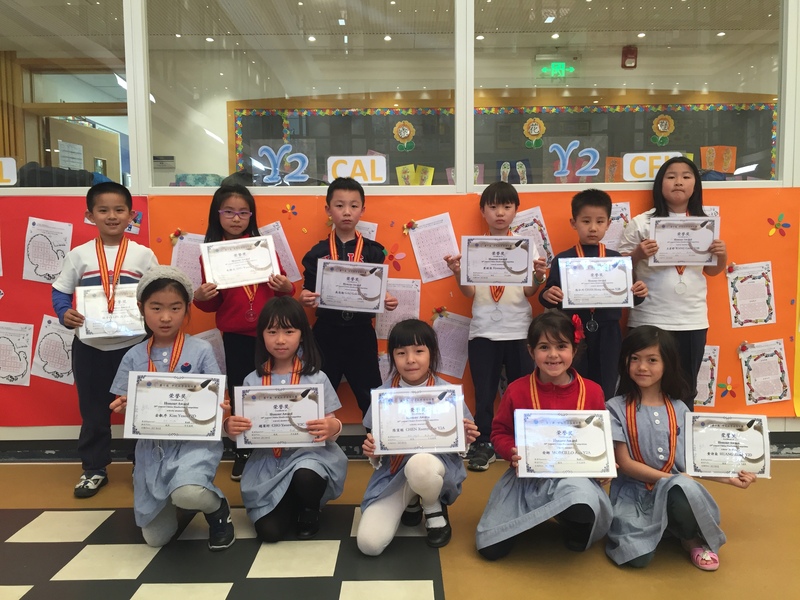 Ms. Miao: I have been teaching Chinese for 33 years. 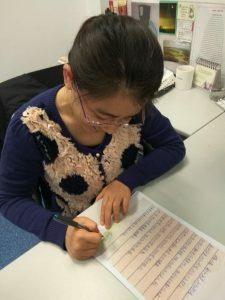 Handwriting has an irreplaceable role in Chinese written communication, which can help students learn and use of Chinese characters. Recent findings demonstrate that writing by hand improves brain and fine motor skills. In addition, Chinese characters also have a high aesthetic value, personalized beauty and affinity. 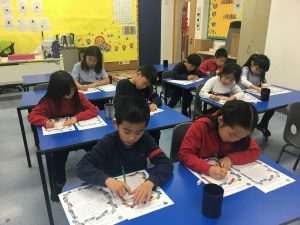 Writing Chinese characters in the Primary years helps cultivate character, enhances aesthetic awareness and also develops physical coordination, which is not possible when using digital tools such as keyboarding. When Practicing writing, students should write the characters correctly, clearly and beautifully. The ability to follow the details will determine the result. Only through being absorbed in the construction of characters can we write them well. In this way, the good habit of learning can be cultivated such as earnest, carefulness and focusing attention. Also remember to take every chance to practice handwriting. Chinese character is a combination of culture, history stories, characters, temperament and interest. We appreciate everyone’s enthusiasm and participation. YCIS will always spare no effort to organize more meaningful events. Last but not least, congratulation to all the award winners. 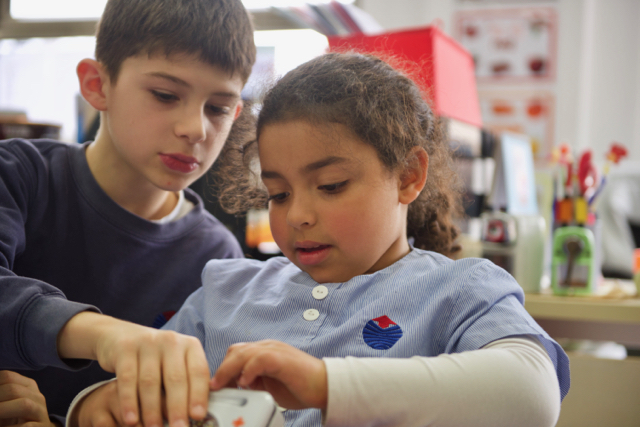 They provide a learning experience for our students which is meaningful. Other people/organisations benefit from the work of our students. We are currently in the process of forming a committee consisting of staff, POP core committee members and school leaders to look further into this. 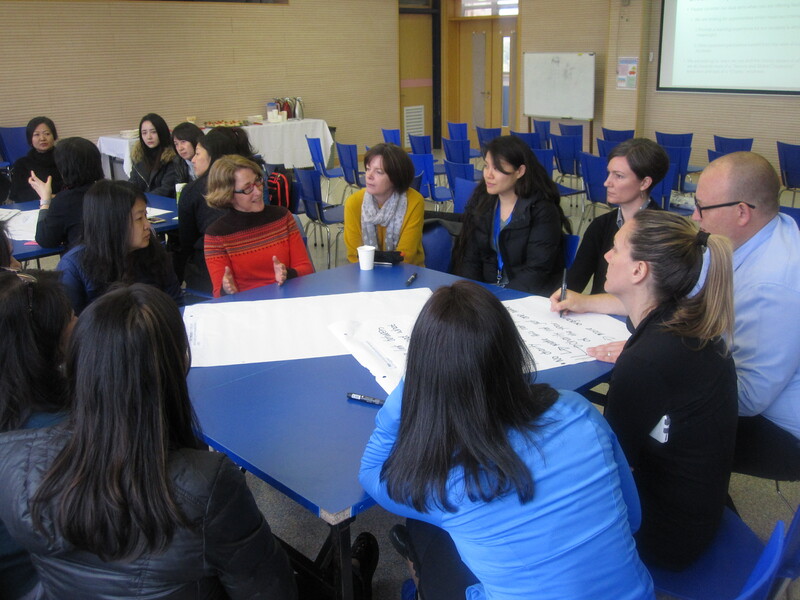 At our recent Co-Principal coffee morning, we gained valuable feedback from members of our parent community. The committee will synthesise this with feedback sought from our staff, and also from our Student Council members, to create a charity plan for next year. This will include reviewing our longstanding events such as Charity Week and Kids’ Night In, to see if there are ways we can make more explicit the link between what our students do, and how their actions benefit others. An example of a very successful project we have recently undertaken which fits these criteria is the Year 1 and Year 4 collaboration on the Solar Buddy project, making lights for disadvantaged students in Ethiopia. Children in Year 1 and Year 4 were asked to earn the money to buy the light making kits by helping with chores at home. 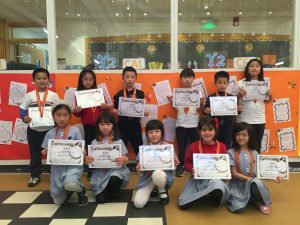 Some students helped their parents with washing the dishes, some helped with taking care of their own belongings, while others had to gather RMB 1 each time they completed a chore at home. We are looking forward to creating further opportunities for our students which are of similar benefit for both our students and those people we are seeking to help. We look forward to feeding back to you shortly further information about our charity and service plans for next year. All of our Primary Students have been preparing for Environment Week. While in the first semester, the focus was more on the conservation of natural habitats, the second semester highlights endangered animals. All over the world, different kinds of animals are losing their populations to humans. 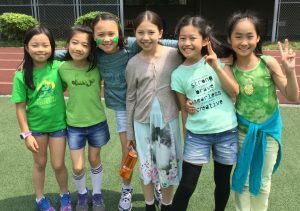 At YCIS, we are learning how to become better friends to the environment. Recently, I did some research about endangered animals for school, but there was one species that really stuck out to me: The Bluefin Tuna. This is an endangered species that not many people have heard about. Why? Nobody is really trying to promote this animal, which is probably because it does not appeal to them. Most people in this world have heard of pandas, a cute and cuddly creature. People feel dedicated to saving them. But when it comes to tuna, no one even cares anymore. 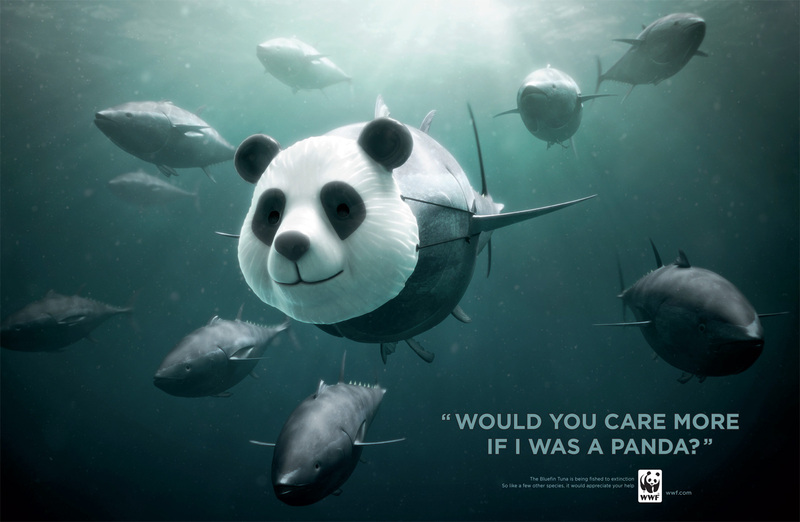 The demand for eating tuna is getting higher, meaning their population is getting lower. When there is no tuna left, will people miss these fish on their dinner plates? 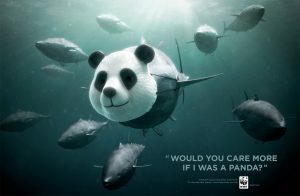 It is time to save the tuna: fish that have been treated unfairly, but may not have to end that way. The South China Tiger is known to be extinct in the wild, and now only exist in zoos. They have been hunted for their bones, which are used as Chinese medicine. In addition, the tiger skin is sold to fashion stores and made into clothing. I believe in saving endangered animals because they are all needed to keep the food chain balanced. If people continue to carelessly kill or poach animals, then the food chain all goes wrong. For example, in the UK, many rabbits died from disease and that caused the foxes to begin starving. As the fox population went down, there was a rise in mouse breeding which caused an imbalance of food. I’m proud to be a part of the activities during YCIS Environment Week because we can learn about ways to help save the world. 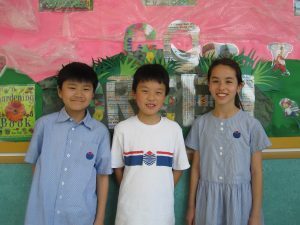 Can Children Make a Difference to the Environment? – Yes, I think that children can make a huge difference to the environment. Although there are many, many reasons, I will only state the three reasons that are the biggest to me. I think I’ll start small, although this is anything but small. The production of meat places a heavy burden on the environment. For example, many of the crops and vegetables we grow are just to feed the animals we eat. It requires tremendous amounts of water and crops to produce meat. In addition, we continue to cut down trees for farm and grazing land. As the world’s population grows more and more rapidly, the demand for meat grows as well. As I will mention later, there are over 2.2 billion children in the world and that number is growing by the second. If all of those children ate a little less meat, the difference would be humongous. Together, children are stronger than the strongest human, wiser than the wisest human, and because of that, capable of making a big difference. Which leads nicely to my next point. Felix Finkbeiner. Katherine Liu. Qi Er Qiu. What do they all have in common? They made huge differences and they were children when they did. Mr Finkbeiner was only nine years old when he hatched the plan to plant a million trees in Germany. As of today, his company, Plant for the Planet, has planted over 3 billion trees! Katherine Liu is an artist. A talented one, too. She paints and draws as a way to change the world. She once submitted a drawing of exotic animals to a competition in order to highlight conservation issues. She came in 2nd! Qi Er Qiu. Although her name is a bit awkward, what she did was amazing. 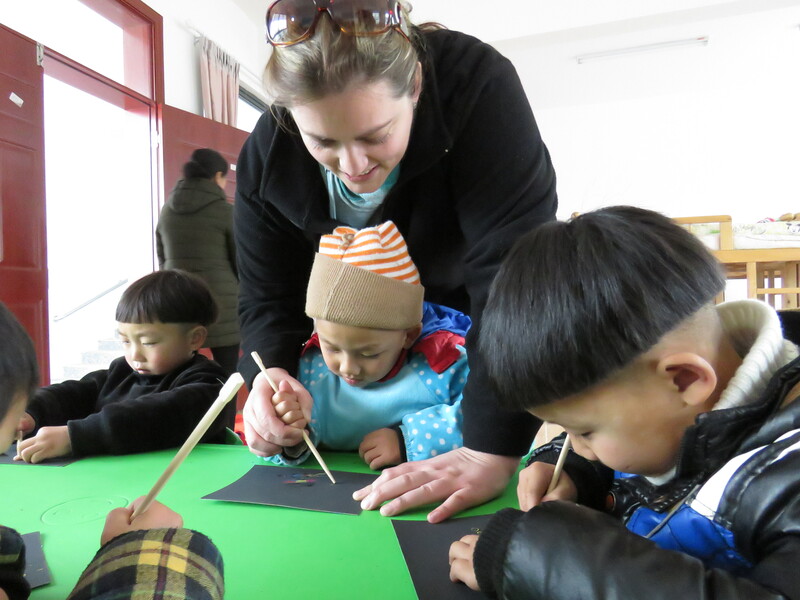 When she found out that every year disposable chopsticks make up a huge portion of waste in Asia, she started her own reusable chopstick company. Last but not least, I’d like to talk about the amount of children in the world. This is an overwhelming amount of people and if they all altered their habits a little bit, it would make a huge difference to the world. For example, if all children ate 1 gram less of meat everyday to start with, that would be 2,200 tons of meat saved, which means a lot of resources, water and land saved. There are other habits we can improve: turning off the lights, convincing our parents to reduce the amount of plastic we buy, and taking showers instead of baths. There are many more reasons why children can make a difference to the environment and ways they can do so. Imagine we all worked together and changed the world for the better? We remind you that Environment Week is happening the whole week from April 17th to Friday 21st. For more information regarding the program, check the ECE&Primary News Blog. As you already know, YCIS believes that learning through play is the most meaningful and effective way for young children to learn and explore the world. While playing and having fun exploring, children are making meaning from their own world. From April 24-28, the annual ‘Week of the Young Child’ will be celebrated worldwide. It is an initiative of the National Association for the Education of Young Children (NAEYC) whose aim is to celebrate early learning, young children, their teachers and families. Our school will take part in this event as it is an opportunity to further explore the ECE learning environment. As such, the class teachers will focus upon a different experience each day for the ECE children. 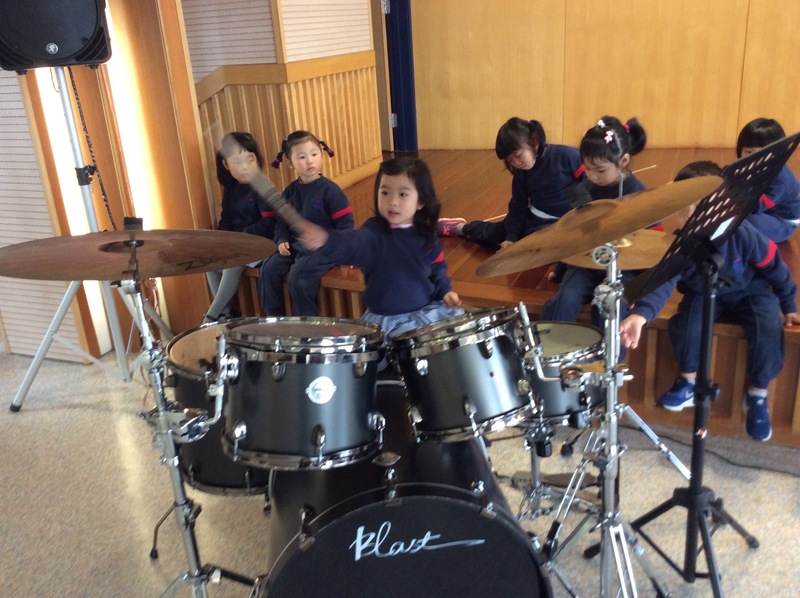 Music Monday – Music is important as it adds another level to the learning. 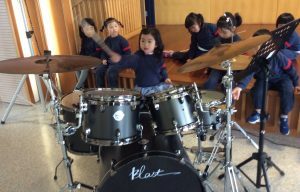 Children enjoy listening to the rhythm and beats of different songs. Music is a great way to have children learn about language; it is often the first area where children begin saying new words. 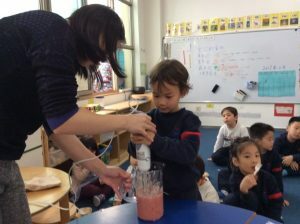 Nutrition Tuesday – The youngest learners will be served up fun as they mix, mash and measure their way through the day. Food theme activities support the understanding of health, fitness and good eating habits. Work Together Wednesday – A focus upon working together exploring engineering skills by using blocks, and cooperating with each other. Artistic Thursday – The children will focus upon their inner artist by exploring different methods of art: Pasting, painting, sequences, glitter and other mediums will be used and explored. 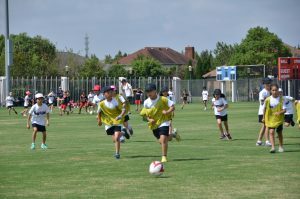 Friday Family Fun Day – Families will be invited to the school for outdoors activities in which children and parents can play together. 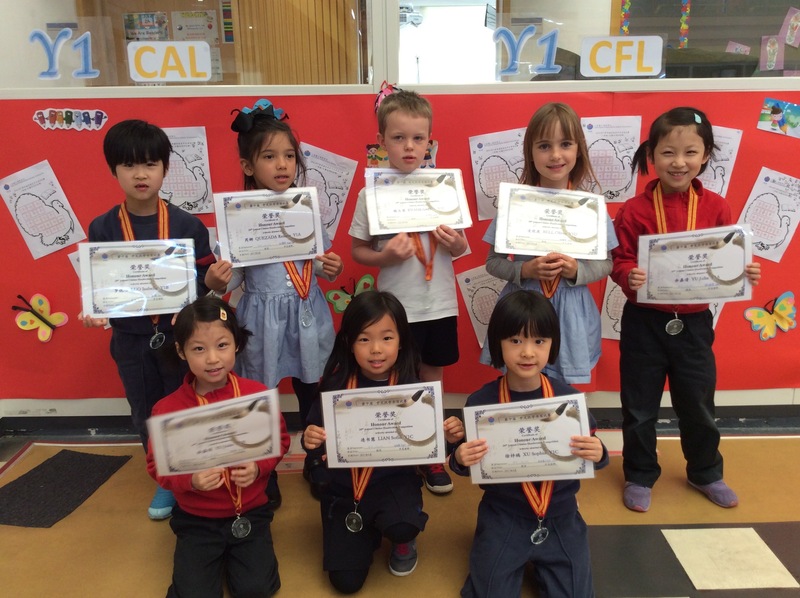 We will also enjoy a morning tea and celebrate our learning. 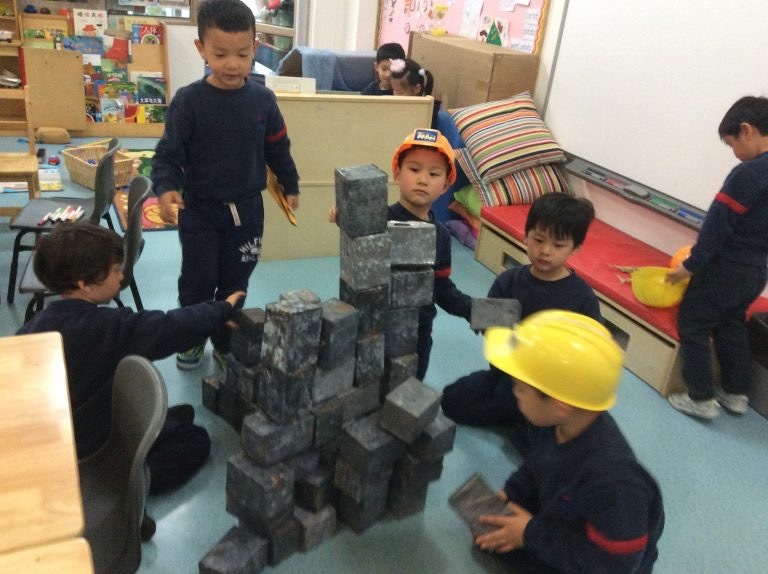 When children engage in purposeful play, they learn to think and are given every opportunity to explore the world. As such, they begin to lay down strong foundations in academic and social skills, that will last a lifetime. For more information, keep updated on the ECE Class Blogs! 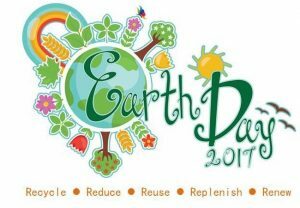 Earth Day is celebrated on April 22 of each year. It is a day to celebrate the beauty and resources that nature gives us but to also bring to light the fact that our planet’s resources are finite and need protecting. The fate of our planet is not only in our hands, but also in the hands of our children. 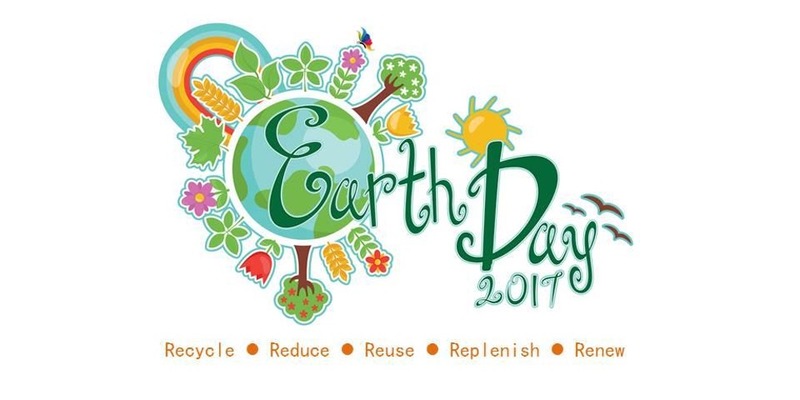 Earth Day gives us the opportunity to teach our children about caring for the earth, as well as creating life-long habits that are environmentally friendly. Not just any books, but stories about caring for the environment. 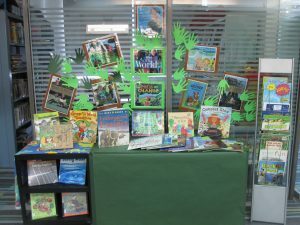 Our libraries at school have a wide variety of books with an environmental theme, including The Lorax, The Giving Tree, The Watcher: Jane Goodall’s Life with the Chimps, Seeds of Change, Rachel Carson and Her Book that Changed the World, The Tree Lady, Compost Stew and What Does it Mean to Be Green?. It seems obvious, but when we live in a large city like Shanghai, we have seemingly less opportunity to go outside and enjoy nature. Fortunately, Shanghai does have many large park areas, with Century Park right on our doorstep. 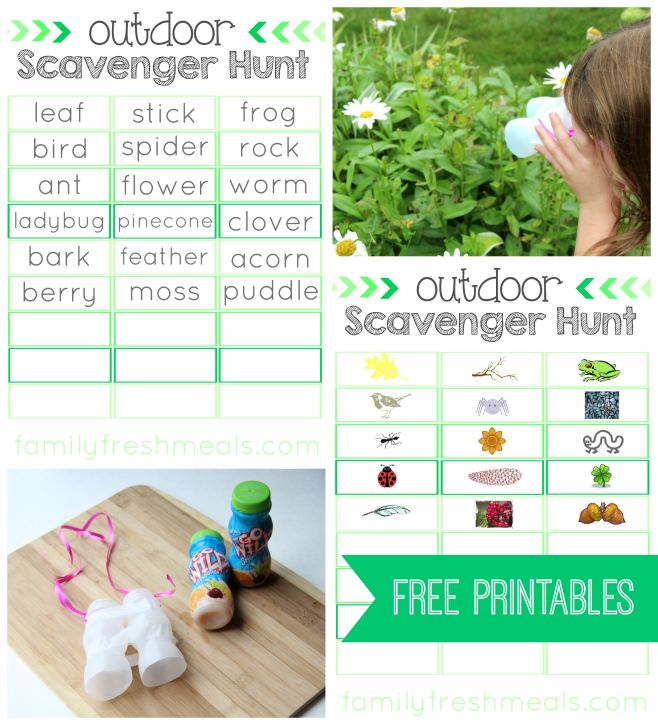 Charge your children with the responsibility of taking photos outdoors or complete a family scavenger hunt. 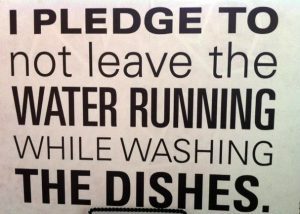 One way to help not only the Earth, but also the bills, is conserving water and electricity. 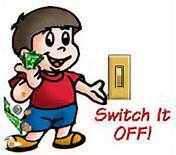 Children as young as three years old can get into the habit of turning lights off and shutting off water when brushing their teeth. Older children can help unplug electronics when they are not in use. The best way to inspire and support our children is to lead by example. By choosing goals and working towards them as a family, you instill both environmental and family values in your children. Start new traditions and create new habits to involve all the members of your family. Meatless Monday? Waste-free snacks? Sponsor an endangered animal? The possibilities are limitless.